Organic, hand-pressed argan skin oil. Argand'Or Argan Skin Oil is the original 100% pure, natural, untreated argan oil from the Arganeraie in Morocco (UNESCO Biosphere Reserve). Fair, social and sustainable produced by women's cooperatives in the centuries-old tradition of manual pressing (not mechanical / industrial cold pressing). With this particularly gentle manufacturing process, all active ingredients are preserved. The bottle of opal opal glass also makes the oil durable for a long time. Since 2015, the original hand-pressed Argand'Or Argan skin oil is protected by UNESCO. The traditional hand pressing of argan oil was included by UNESCO in the "List of Urgent Intangible World Heritage" at the end of 2014. Argand'Or is the only company that uses only original hand-pressed argan oil in its care products. Hand-pressed argan skin oil is unusually rich in tocopherols, the concentrated and cell-regenerating vitamin E compounds, compared to other oils. It has up to nine times more radical scavengers and antioxidants than other high quality oils. Argan skin oil has a moisturizing and circulation-promoting effect. 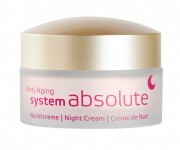 It is referred to as "the most natural anti-aging agent". The cell-stimulating regeneration of the skin is stimulated and leads to an improvement in the elasticity of the face, neck, décolleté, chest and buttocks. In Berber women, who use hand-pressed argan oil from birth, almost no connective tissue slagging occurs. The radiant and healthy skin is firm, the beautiful hair shiny and strong and the tissue structures strong. Hand-pressed argan skin oil has a unique composition of valuable fatty acids such as linoleic acid and valuable antioxidants. Linoleic acid provides the skin with elasticity and high vitality. It protects the body skin from dehydration and creates a protective barrier against environmental influences and wrinkles. In the argan fruit also Quercitine and Myricetine were detected, which fight fungi and bacteria. Polyphenols generally have an antioxidant effect, that is cell-protecting. No other oil possesses the unique combination of plant sterols, especially spinasterol and schottenol, which are currently the focus of interest in research as an anti-cancer drug. Schleicher in his book "Argan Oil: The Healing Effect of Moroccan Gold" describes. Application: For body and facial care, apply hand-pressed argan skin oil thinly and massage in gently. Hand-pressed Argan skin oil penetrates quickly into the skin and leaves no unpleasant greasy film. Avoid sensitivity to the eye area. The particularly mild oil is also very well suited for delicate baby and child skin. Berber women traditionally oil their babies immediately after birth with the wonderful hand-pressed argan oil.